Ferro Tungsten is an alloy, which is formed by combining iron and tungsten.Ferro Tungsten is a remarkably robust alloy because of its high melting point, tungsten has the second highest melting point after carbon. Ferro-tungsten is a master alloy for the production of tungsten-containing steels. 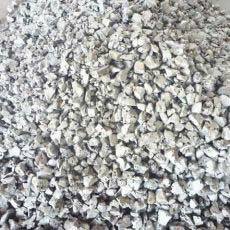 We offer qualitative Ferro Tungsten that is widely used as a tungsten additive in the process of steel smelting and other alloy materials. Properties : Adding Ferro Tungsten to an alloy distinctly increases its melting point, which makes it very useful in aerospace applications and in welding. It also increases the hardness of the alloys without increasing its breakability, and increases electrical conductivity.The product is stable under normal conditions. It hides any risk of explosion in its original form. In the form of fine dust, there is a small but greater risk of explosions, but low positive pressure eliminates any danger of explosion. It may react with acids to produce flammable gas or hydrogen.Its preparation is not classified as dangerous according to the relevant European regulations, and it is also not classed as a hazardous good for transportation. Chemistry Applications Ferro Tungsten has great hardening and conductive properties and is used to increase the abrasion resistance and strength of special steels. The manufacturing of high speed steels. The manufacturing of tool steels. The manufacturing of structural steels. The production of super alloys. Its use as a shield for military applications.